It's that time of the year. Summer. Last year, today, we were in Israel, on an intoxicating sensory overload. It's that time of the year when you need to step away to get perspective. I read it somewhere. It's true. Whether you fly over oceans to exotic places or just get in the car, turn on the engine and drive. That is exactly what I decided to do with the guys this coming July when my fantasies of the Greek Isles dissipated into thin air and transformed into daydreaming about lighthouses on the charming coast of Maine. An American road-trip. We don't do it enough or barely at all. The single most profoundly powerful experience I had while traveling in the United States, and it might sound completely predictable and corny, was at The Grand Canyon. I was faulted in the past for being a doubter, but when I saw its enormity, its powerful stillness and shimmering beauty, I knew there was a higher cosmic power, beyond us mere humans. Summer vacations are synonymous with Israel and visiting with family there. While summer brings mad craving of the flavors of Israel, this year I hope to add some other sensory stimulations and memories catalogued in my brain cells. Maybe, just maybe in the summer of 2014, I will reminisce and have burning yearnings for the flavors of Coastal Maine. Lobster shack images and freshly caught haddock...and if I still get longings for these cheesy, garlicky olive straws, rugalach and babka, I can get in the car, turn on the engine and take a road trip to New York City's Israeli Breads Bakery. Then again there is this tiny issue of inner city parking, speaking of perspective. In a large bowl add the white flour, rye flour and salt. Set aside. In an additional large bowl add the olives, garlic, semolina and cheese. Mix and set aside. Add the yeast and water into a mixing bowl with a hook attachment and let sit for a few minutes. Gradually add the dry ingredients flour mix into the yeast and water and knead on a low speed for approximately 5-7 minutes until the dough is elastic and soft. 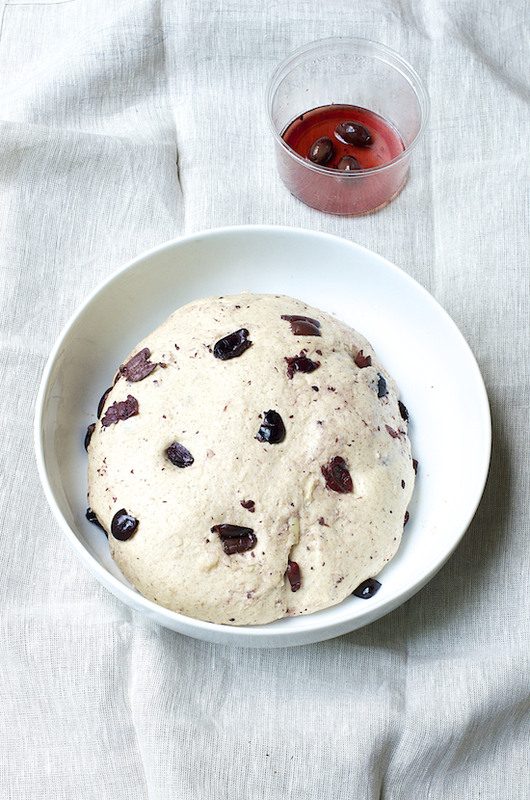 Add the olive mix into the dough and continue kneading on low for another minute or so. It's ok if not all the olives and cheese are completely incorporated into the dough. On a lightly floured surface, form the dough into a ball. Ideally, put it in a heat resistant glass or ceramic bowl, cover the bowl tightly with saran wrap and let rise in a warm place for approximately an hour or until the dough doubles itself. Preheat oven to 428F. Line 3 cookie sheets with parchment paper. 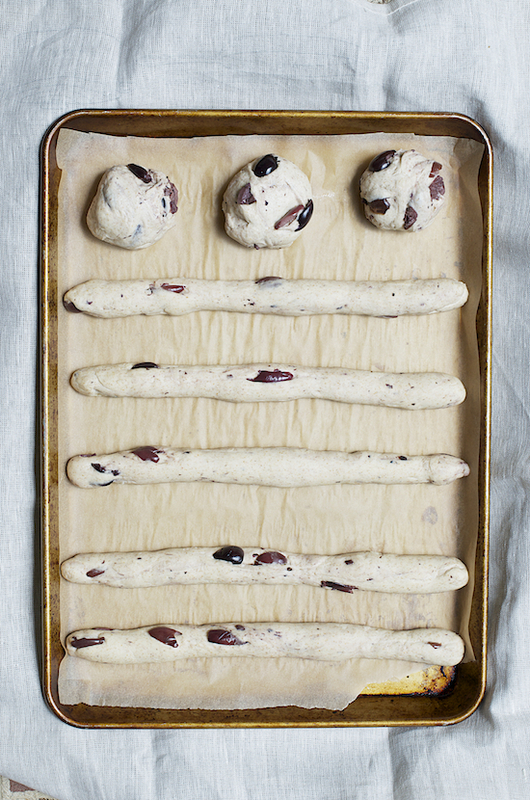 Divide the dough into 16 equal parts (I weigh each one). Roll out each part to an approximately 10 inch straw (25cm, a little less than 10 inches). Place straws on parchment paper lined cookie sheets and cover with clean kitchen towels and let rise in a warm place for 40 minutes - 1 hour. Gently brush the straws with the whisked egg and bake for approximately 15 minutes, until golden on top. Take out of the oven and cool on a wire. Recommended to be served on the same day with an assortment of cheeses and along with a salad and dips. Pictured: Labneh, A Mediterranean yogurt cheese, with zaatar. Cook's notes: Maybe these are not what traditionally we know as straws, but I saw somewhere that is what they called them. 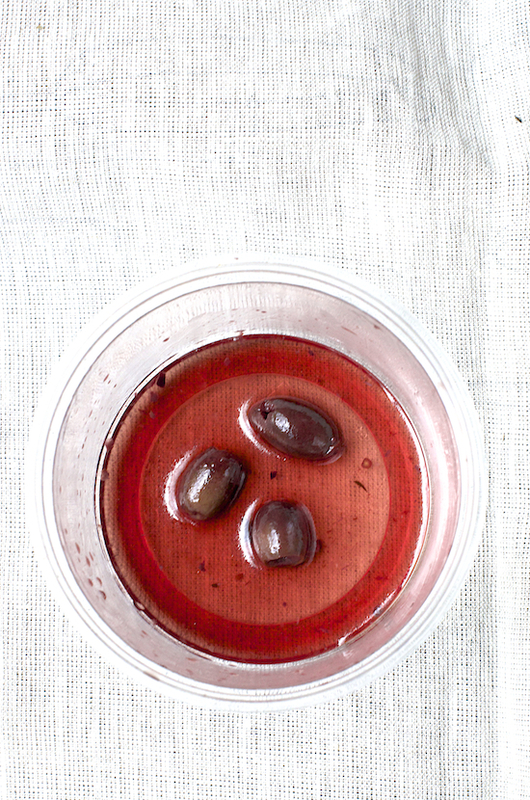 My favorite olives pictured above are Kalamata. A summer trip to Maine sounds lovely! 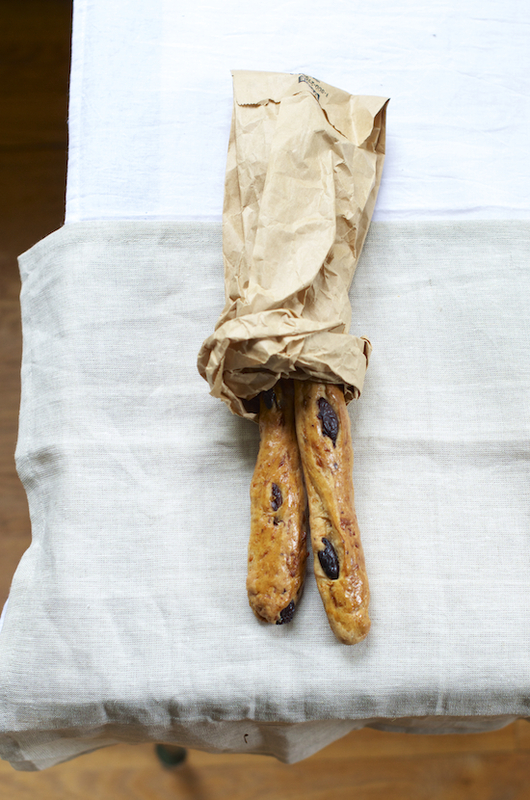 I can never resist savory bread, these straws look perfect for warm summer evenings dining outside. TY Laura, I know, right, something about the olive straws says summer to me too. I know, right, Jael?! I stopped by this past summer when we were visiting. Scrumptious looking bread straws! So flavorful. TY Rosa. Yes, very aromatic. The bread straws looks wonderful. We just got back from Paris and this looks like something you would see in a Parisian bakery! aww that was the sweetest comment and your trip sounds incredible. How fun. 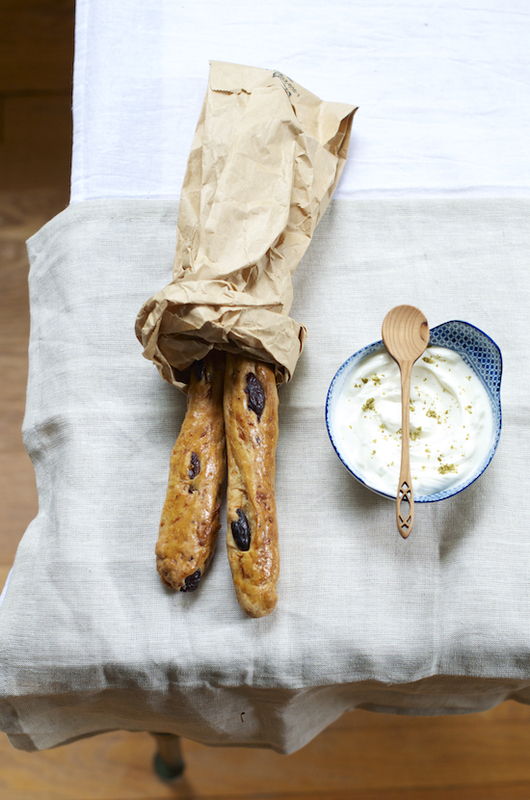 yeah cheese and olive straws, I ll have to wait for the season to start in october to get good cheese and Greek olives. TY Helene. Reality always hits me when you leave me comments. That raw materials are not always readily available in other parts of the world, or at least not good quality year round as you put it...but I would do anything to indulge in the raw materials India has to offer. Can we trade places? There is so much to see here and often we take it for granted. But if I were going on a road trip I would sure hope to have these straws in my basket! They sound and look great! ahahah TY for reminding me to make ahead lunch and snacks for the road so we won't cave into junk food. Road trips are so fun--I've not done one in a long time and never in that part of the country. I bet it would be wonderful! These breadsticks are gorgeous! How perfect to read this now Shulie. I´ve just spent the last few weeks with something nagging me, and now I realize you´re absolutely right, it´s the much needed annual perspective! I love road trips, there´s no better way to know a region. 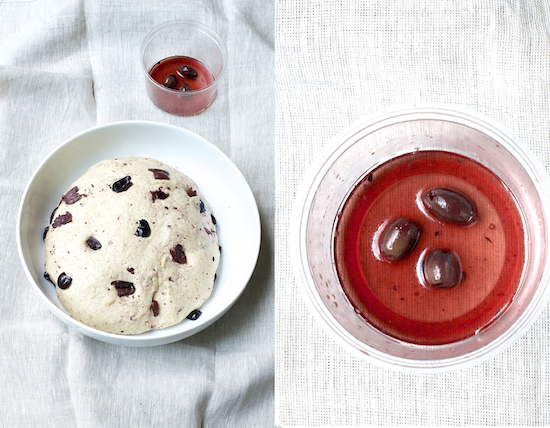 Your pics in this post are not only gorgeous, but the recipe is amazing! Rye and olives, I love that combo. aww Paula, I have those days too. I know, right?! When I saw rye in it I thought it was really interesting. TY. These are great the day of. They are chewy, soft and a glimmer of a crunch for lack of a better word. I was really happy with the result though I won't freeze these and rewarm. Very aromatic BTW because of the garlic.